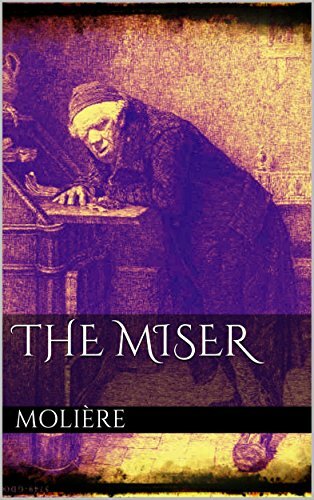 The Miser (l’avare) is about a stingy, greedy, miserable man who cannot love anything other than money, not even his own children. But that doesn’t stop him from wanting to get married to a young and beautiful woman, a woman better suited to his son. Harpagon, the miser, the avarice, the scrooge reminded me a man I have met 5 years ago and could never forget although our encounter lasted less than half an hour. I had taken my car to the garage for a regular maintenance. The garage had a shuttle service to take the customers to their destinations after they left off their car. That particular day, I was alone on the shuttle and the driver, between the garage and my work place (15-20 minutes of drive) told me his entire life which consisted of making and saving money, and most importantly avoiding traps of spending. (The traps he talked about were not the “impulsive shopping” kind, the traps he talked about were normal, day-to-day living for ordinary people.) He was an old man with all his front teeth rotten from lack of care (or from avoiding the trap of paying for dental care). There was a photo of a decent looking middle-aged, blond woman, stuck to the inside of the sun shade. When he lowered the sun shade, I saw the woman’s picture. He told me she was his girlfriend. He had a girlfriend, with those teeth he had managed to get a girlfriend! He told me how she always wanted to go out and spend money. He was not a fool. He was not going to let a woman spend his money in restaurants and movies. No, sir! She had to learn to pass time with distractions that didn’t require any spending. He told me how she always talked about getting married. Did she take him for an idiot? Get married and have to share your money? This man, who talked non-stop about how much he had and how little he spent, and who was driving a shuttle bus of a service station, had 6 antique cars at the time, or so he told me. He was buying them, doing the necessary repairs and re-selling them. Obviously he had money to have his teeth fixed. I often thought about that man, about the woman who would want him for a boyfriend, his antique car hobby-business, his odious teeth and his detestable talk of not spending any money, any where, other than on antique cars. Believe me, Harpagon exists. Harpagon of Molière’s creation, unlike real-life Harpagon, does want to get married. He wants a dowry too. And just like the Harpagon the shuttle-bus-driver and antique-car-collector, he doesn’t want his woman to cause him any extra expenses. Well, he is not going to get it. It is either money or love. At the end, he is still lucky to keep his cash-box.